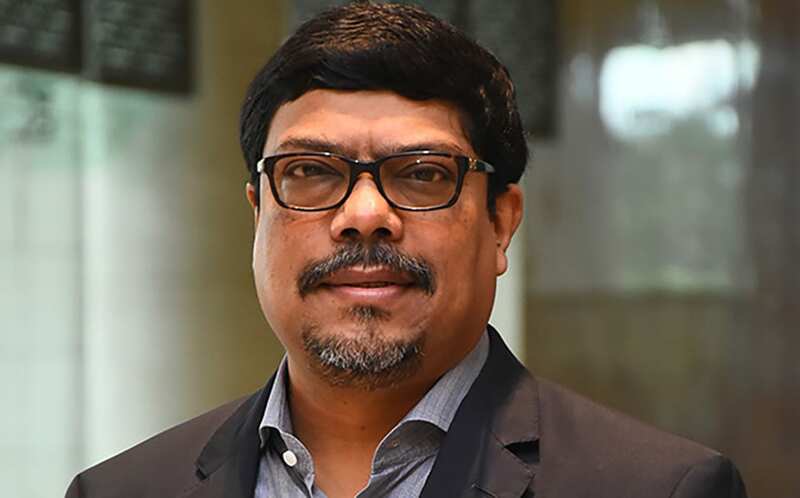 With over 27 years of experience in software industry, Souma Das has been instrumental in leading sales, marketing and product management teams in various industries. 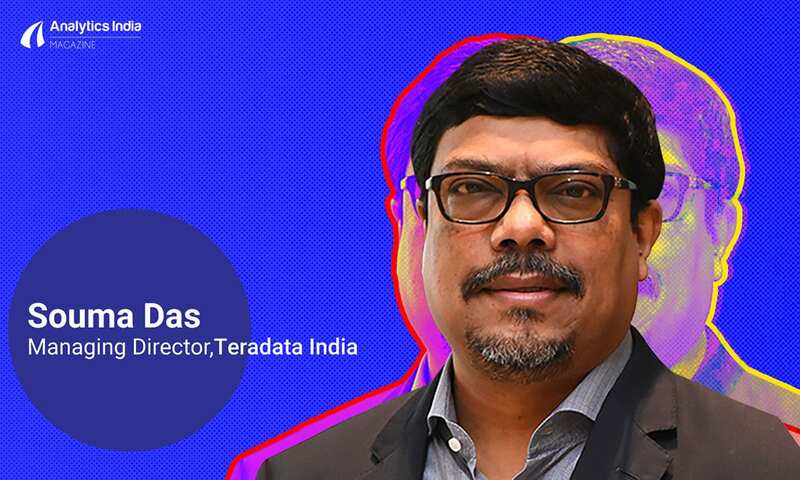 Currently serving as the managing director at Teradata, he is responsible for providing leadership and overall strategic direction to the company’s India business. He also oversees field operations that include sales, customer management, marketing, professional services and customer support, among others. Analytics India Magazine interacted with Das, where he shared his vision for the company, trends in analytics, organisational growth in India and his roadmap for the company, among other things. Analytics India Magazine: What is your vision for Teradata? Do you plan to expand its product portfolio? Souma Das: We have got a solid foundation in India and we aim to significantly grow our business in the coming years. One of the primary reasons Teradata hired me was to focus on expansion, and grow the company in all aspects. At Teradata, we are all about long-term customer relationships so we will be focusing on creating more momentum and traction with our targeted customer and prospect organisations. In India, our prime focus will be on three major verticals — BFSI, manufacturing and government. This is where the most amount of transformation is happening. We are looking forward to investing and building our own team of experts to go after these verticals. AIM: How has been the company’s growth in India? Souma Das: We have seen a definitive transformation in terms of analytics and data-driven strategy along enterprises in India. Transformations do not happen overnight, it is a journey, and India has shown a significant growth. We not only build expertise in technological implementations but quite significantly on data science and advanced analytics. Of the 11,000 employees that we have globally, more than 2,000 are based in India across cities like Mumbai, Pune, Bengaluru and others. Our focus is on delivering expertise and bringing innovative ways of generating actionable insights from data. Our differentiation factor is how we operationalise these technologies and deliver the best to our clients. AIM: Please sum up some of the analytics solutions and services offered by Teradata. Analyse Anything: Enables analytic users throughout the organisation to use their preferred analytic tools and engines across data sources, at scale. Deploy Anywhere: Provides analytic processing across flexible deployment options, including the Teradata Cloud and public clouds, as well as on-premises on Teradata hardware or commodity hardware. Buy Anyway: Empowers companies to purchase software in more accommodating ways based on specific use cases through simplified pricing bundles, subscription-based licenses, and as-a-service options. Move Anytime: Future-proofs buying decisions by taking advantages of our software licence portability that provides flexibility to run analytics across deployment options. We also announced Teradata Analytics Platform and IntelliSphere. The Teradata Analytics platform is a modern platform that delivers access to the best functions and leading engines to users to leverage their preferred tools and languages, at scale, across multiple data types. Whereas, Teradata IntelliSphere is a core software package that can ingest, access, deploy and manage a complete analytical ecosystem; and is a key enabler of Teradata Everywhere. AIM: How is Teradata enabling companies with their analytics and other tech solutions? Please highlight some use cases. SD: We are effectively calibrating our customer engagements and helping them gain business value from analytics. Our focus is on building more choices, driving more innovations, and delivering more expertise. We offer operational excellence, asset optimisation, customer experience, product innovation, to finance transformation and risk mitigation. Teradata counts Aditya Birla Financial Services Group, Telenor India, Tesco, Volvo, Hertz, Lufthansa, Barclays, Standard Chartered, Siemens, as some of its global clients who have a significant presence in India. Volvo Car Group, for instance, is using the Internet of Things and Analytics of Things to further their vision of ‘protecting and caring for people.’ They are leveraging Teradata integrated Analytics and Hadoop solutions to enable advanced analytics for key initiatives such as Intellisafe Autopilot Self-Driving Car, Vehicle to Vehicle Communication and Project 26 to help fulfill the company’s corporate and brand strategy of ‘designed around you. Another customer, Siemens is working on the Internet of Trains theme analysing sensor data to help them keep operators on track by reducing train failures. Teradata is enabling Siemens to analyse patterns and trends. This helps predict when a component is likely to fail, so it can be repaired before anything untoward happens. AIM: Tell us about 4D Analytics by Teradata. How is it operationalising IoT analytics? SD: At Teradata, we continue to invest our time and efforts to power the Analytics of Things. We recently announced the availability of 4D Analytics, which is very relevant to us as automotive and government industry verticals are our top focus verticals in India. 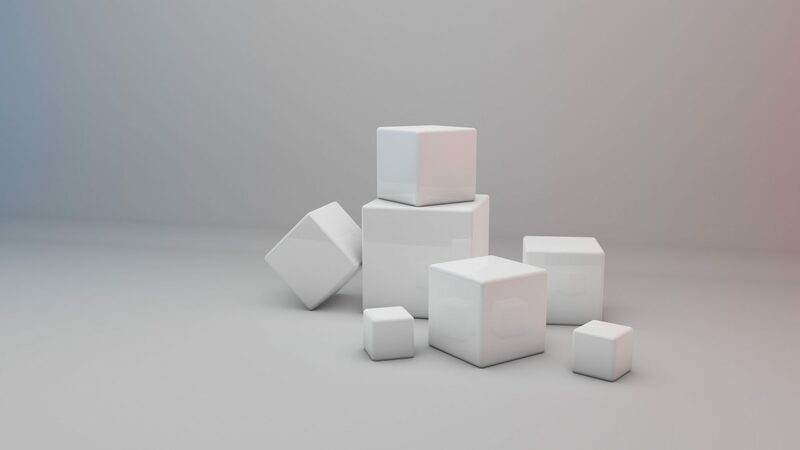 The addition of 4D analytics capability enhances IoT analytics by using insights based on both the time and space of a device, such as cars and wearables. It will empower our customers to analyse and manage data of constantly changing time as well as location variables such as cars, metro, planes etc. AIM: Having worked in the areas of business intelligence and data visualisation, how has been the transition to business analytics and hybrid cloud environment been? SD: I joined Teradata at this incredible point of time when technologies like AI, deep learning, IoT and cloud are creating an analytical environment that is disrupting conventional business wisdom, making companies reimagine and revitalise their go-to-market strategies to ensure a competitive edge. We recently did a survey and it revealed that a majority of the largest companies in the world agree that the cloud is the best place to run analytics. In India, there has been a strong shift towards the adoption of hybrid cloud environments. With the growing pace of technology change and innovation, businesses are increasingly looking for solutions that meet their advanced data analytics needs while at the same time optimising their existing resources and allowing for speed and flexibility. Innovative solutions like Teradata IntelliCloud will enable Indian businesses to derive more value in this data-driven world. It has been great and encouraging journey so far and look forward for more. AIM: Can India rival US or North America in terms of analytics maturity? SD: It is a tough question to answer. Not all the segments are at the same level, as few segments are witnessing far more progress than others. The digital transformations happening in India in banking and government sector is far more advanced in nature than other countries. Some of the complexities that we face in India vs. other developed countries are in terms of regulatory compliance, the number of people who are in organised vs. unorganised sector, among others. Having said that, the comparison of companies in India vs. globally is still not a fair as there are a lot of local and cultural differences that come into play. These are two completely different landscapes. AIM: What is the roadmap for the company in the future? SD: In India, we have seen a strong shift towards the adoption of open-source, advanced analytics, digital and hybrid cloud environments in India and this is definitely our area of expertise. We are effectively calibrating our customer engagements and helping them gain value from their analytics. I look forward to solidifying Teradata’s business led and technology-enabled approach to empower and enable Indian companies to innovate and thrive in an increasingly complex and analytical ecosystem. AIM: What are the key takeaways from Qlik that you plan to implement at Teradata? SD: I worked with Qlik for five years. The company revolved around visual analytics and operated at a slightly different market. It was more into driving inducer visualisation so that people could use complex technologies and visualise their data for chalking out business benefits. What I learnt from Qlik is the importance of data, data literacy and data-driven culture in an organisation. We are living at a time where the value of data has gone up since the last 10 years. Everything is data-driven as we live in a connected world. It is important to explore and generate actionable insight out of the data. Organisations still have disparate systems holding different sets of data. To make sense of it, analytics is equally important as visualisation. As we are moving to an era which is more predictive rather than prescriptive, these learnings will help drive value in the long run. AIM: What are some of the most important contemporary trends that you see emerging in this space? SD: AI is emerging as one of the most promising technologies that will help deliver services like healthcare and enable financial inclusion faster, more effectively and efficiently, to a higher number of consumers and finally at lower cost. Big data is the prerequisite of AI – the large base of structured and unstructured content being the fodder that enables AI to learn and continue learning and come up with not just predictive but prescriptive analysis. Indian enterprises are recognising AI as an enabler that is crucial to transform their business and stay ahead of the competition. India is also moving to big data and analytics. I also anticipate that data will increasingly move to the public cloud rather than sit in the private cloud as companies look at managing IT costs and will be more open to flexibility. Finally, IoT will also see a greater uptake in 2018. It will see adoption in manufacturing, retail and healthcare. Teradata Launches Industry’s First 4D Analytics. What Is This Fourth Dimension?